The weather could not have been better. 80 degrees, 12 to 16 knot winds from the east. Doc Greer our RD for the day kept the races moving at a quick pace, and kept the skippers informed of sailing rules during the race. This worked out well with many of the new RC Laser skippers learning rules as they sailed. Thanks Doc. Barr Batzer and Jim DeSeno stepped up to chair this three year old regatta. Thank you guys and your hard working committee. In this almost perfect condition regatta with winds moving slightly to the southwest, Barr Batzer won every race except two. The two he didn’t win were won by Henry Springler and class secretary Nick Mortgu. The Gold Fleet was so close that only 3 points separated places two to five. The fleet sailed like true Corinthians. 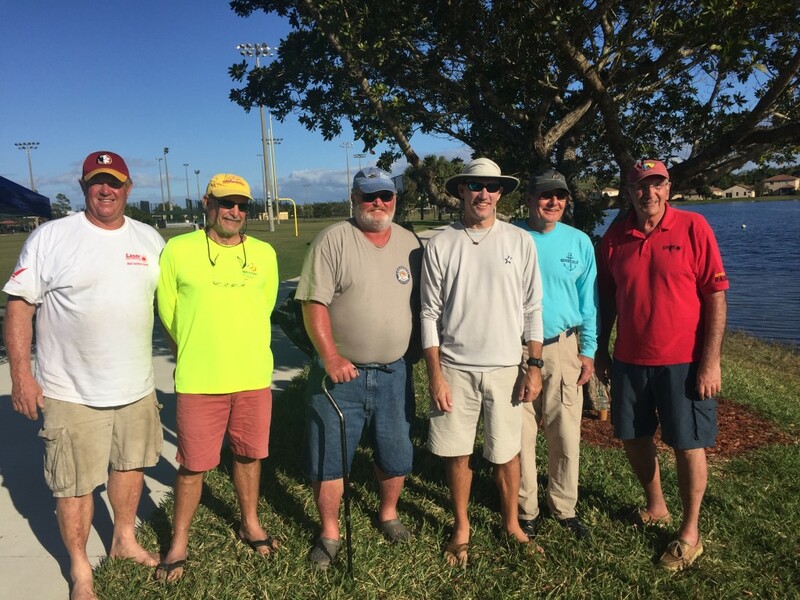 Congratulations to all the the gold fleet skippers. The Silver Fleet was won by Jersey Boy Mike Campbell with 24 points and winning one race. The other Silver Fleet race winners were, Jim DeSeno, Myles Losel, and Fred Sambolin. From the first race of the day to the last race this group showed much improvement in sailing skills as well as understanding racing rules. Congratulations to the Silver Fleet. Barr handed out beautiful awards to the top three skippers in each fleet. I can’t wait to see Justice Bentz’s drone video! See you all in The Villages next Sunday. There are still some openings.